Traditional clay bricks are made in an energy-intensive firing process, which also releases a number of pollutants, such as fluorides, chlorides, nitrogen/sulfur oxides, and others. Since bricks are still used for 80% of construction projects worldwide, which means the creation of 1.23 trillion bricks per year, an estimated 800,000,000 tons of CO2 is released into the atmosphere just from brick construction. The bricks designed by bioMason form into a ready-to-use brick in 5 days, and perform just like traditional bricks, and cost about the same to manufacture. They also have a very small carbon footprint. 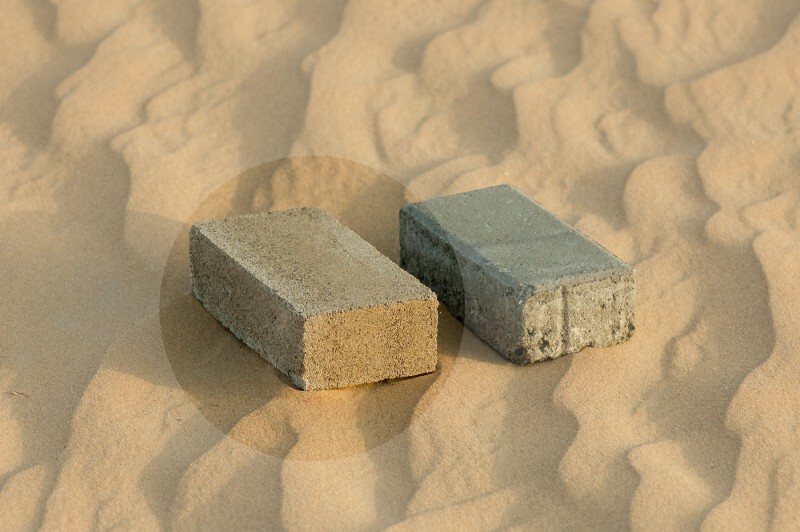 The substrate used to begin the production of these bricks is sand, which is very abundant in nature. The next step in the process is the preparation of liquid cement, which includes bacteria to provide an environment for crystals to form, as well as food for the bacteria, a nitrogen source, a calcium source, and water. This solution is placed into a brick mold over a bed of sand and added to over a five day period until the brick solidifies. As soon as the food and water for the bacteria are no longer added, the bacteria die, making the brick perfectly safe and non-toxic to use as building blocks. After this process had finished, the irrigation solution is wholly recycled in a closed loop system to save water resources and recapture a byproduct of the bacteria as a natural fertilizer. Dosier’s bacteria-grown brick has won several awards since being introduced, including the 2013 Postcode Lottery Green Challenge award and the Cradle to Cradle Product Innovation Institute. Dosier is currently in the process of trying to scale up the process of producing these bricks by working with teams in the US and UAE. So far the scientists have realized that growing these bricks is very similar to growing plants in greenhouses. This could mean that the first houses built using these naturally grown bricks could built very soon.